In John 17:3, Christ describes eternal life as knowing God and Christ who He sent. What does it mean to "know" them? I've been thinking about your question a lot. Its provoked a lot of reflection and self-evaluation, thank you for that. -Why did He heal the sick? -Why did He take company among the broken, the lowly, and the outcast? -Why did He live the way He lived and do the things He did? Me, being the overly confident, borderline prideful person I was, thought that I CLEARLY knew Jesus Christ and God, Himself. It wasn't until I heard a kid, probably not too much older than myself, stand up and declare that he knew Jesus Christ, not just knew of Him, but actually knew Him. I imagine I was sitting there nodding in agreement, feeling so self-assured... until I tried to pick Christ out of an imaginary crowd in my mind...and I couldn't! I realized, if Christ were dressed to fit this generation, and His hair was in style, and he was as average as the rest of us....how would I identify Him? This was pretty irritating. I had a testimony of Jesus Christ, I talked to people about Him all. the. time. but if He were to walk into the room I couldn't say I would know Him. If I couldn't even know my Savior, how would I know my Heavenly Father, whose image He was created in and who taught Him all that He knew?? There began a long period of sincere and earnest prayer. 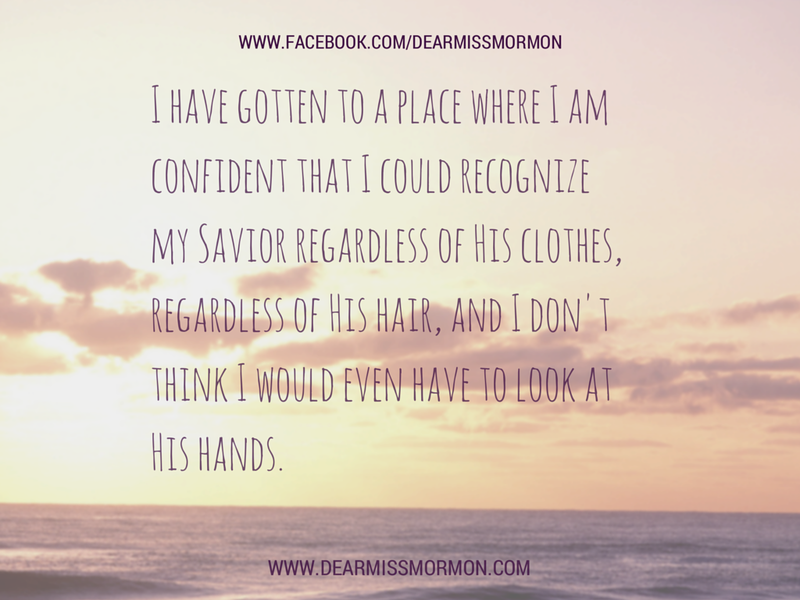 It took me some time, and like any relationship, it requires continual effort, but I have gotten to a place where I am confident that I could recognize my Savior regardless of His clothes, regardless of His hair, and I don't think I would even have to look at His hands. I came to know Christ through studying His very attributes. I know that if I were to meet Christ face to face, there would be an outpouring of love in his expression. There would be kindness in His smile and patience in His eyes. There would be meekness and gentleness and charity in everything He said or did. He would be my Savior, Redeemer, Brother, and Friend. 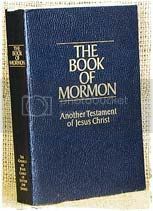 So now I can recognize Christ, of this I am certain, but I'm constantly striving to know Him better and I do that through trying to be like Him. 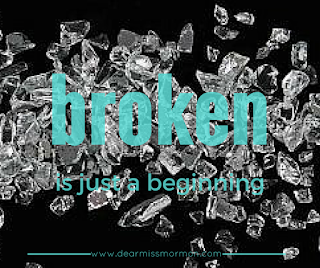 Forgiving when you don't want to forgive is hard. But Christ would do it. Loving those who act unlovable is painful, but Christ would do it. Turning outward in service of others when every fiber of your being is screaming to turn inward goes so against our very nature...but Christ did it. If you want to know Christ, study who He is and apply it, you'll not only come to know Christ and His Father, but you'll find a greater joy than you thought possible. 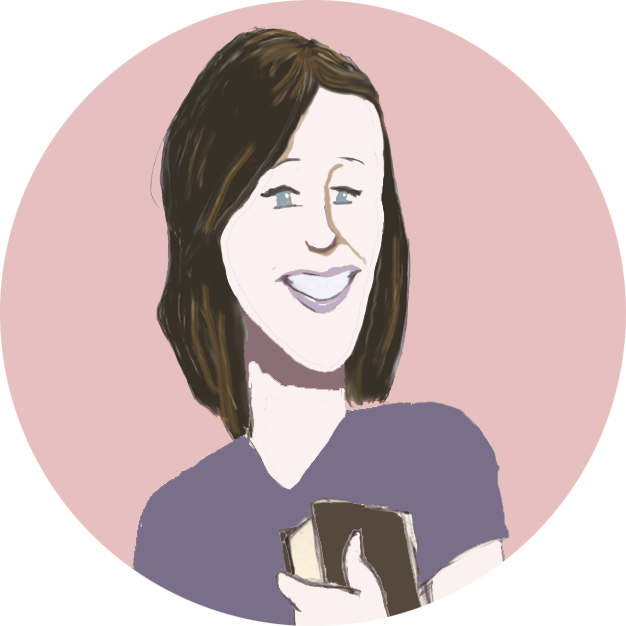 Lets be Christ-like together shall we?